Coco made her do it: They say my lip gloss be poppin.. 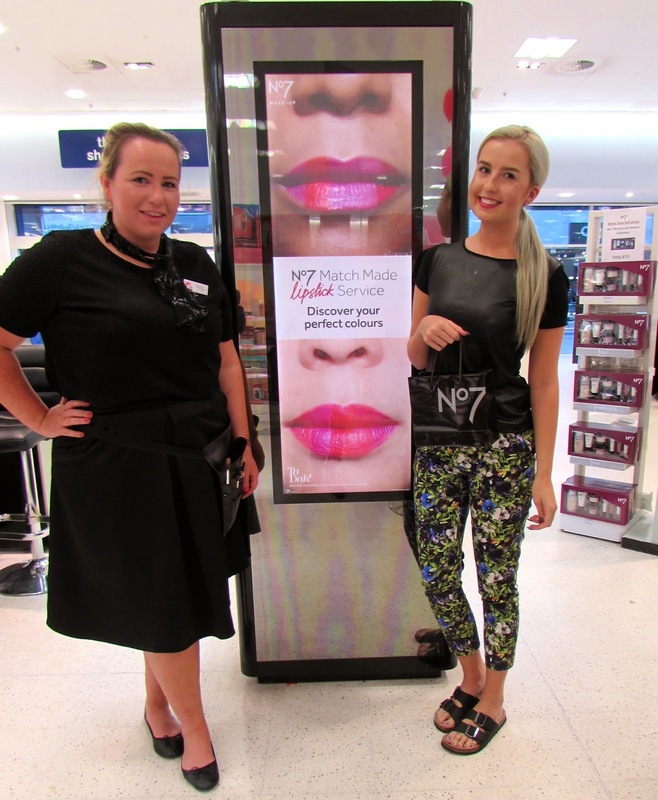 The other week I was asked along to review the new No7 Match Made lipstick service in Boots, Glasgow Fort. I have always been a fan of No7 beauty products! 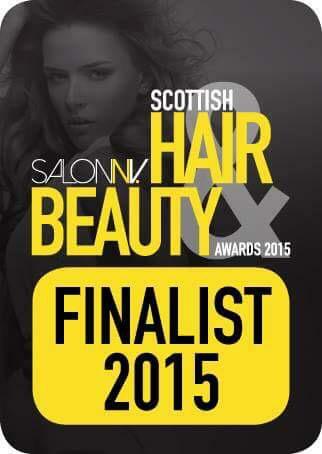 The quality and pricing is fab so you know your in for a treat! The idea is to match the best lipstick to your skin tone. 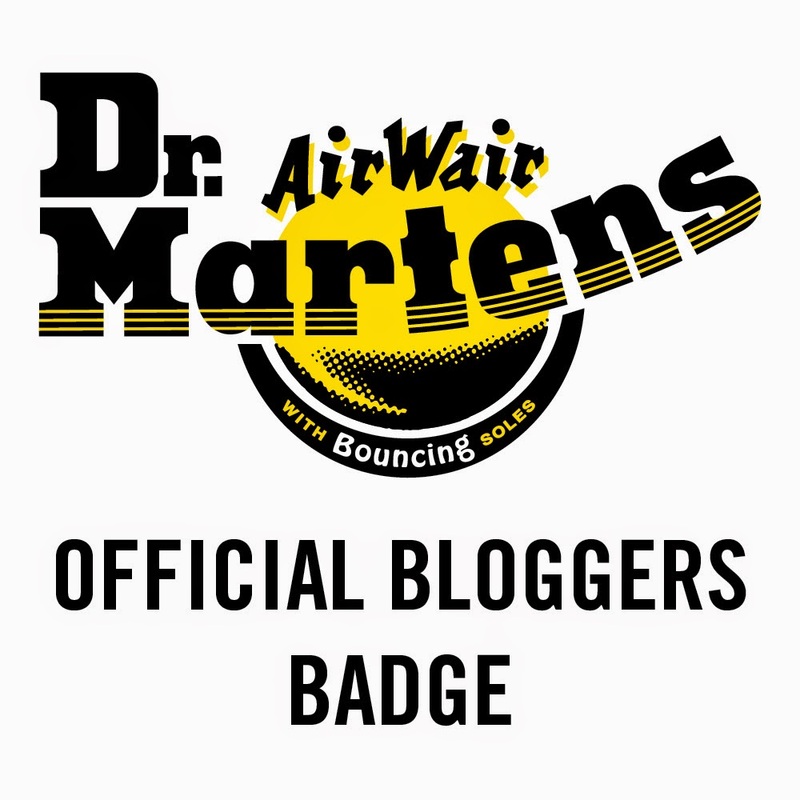 I sat on the chair and Laura-Lee (colour expert) spoke me through the process. She was lovely, really informative and put me at ease. 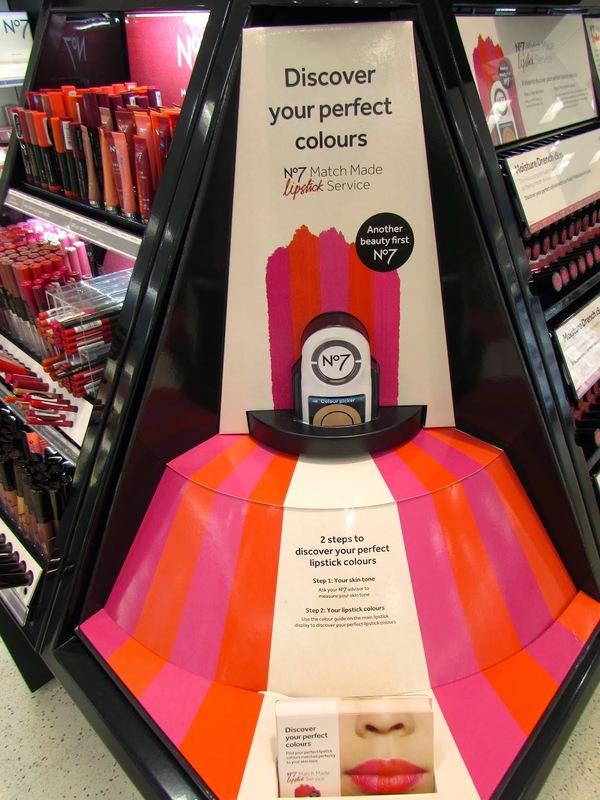 I had a little panic as it dawned on me that someone else is going to be picking my lip colour!? I realised that I play it super safe when it comes to lipstick. I guess I never really thought about it before, pop to the shops and you don't even question your usual colour buy. I tend to go with nudes, mocha and brown tones. They are safe and they make me feel comfortable. I have always thought they complimented my skin tone. 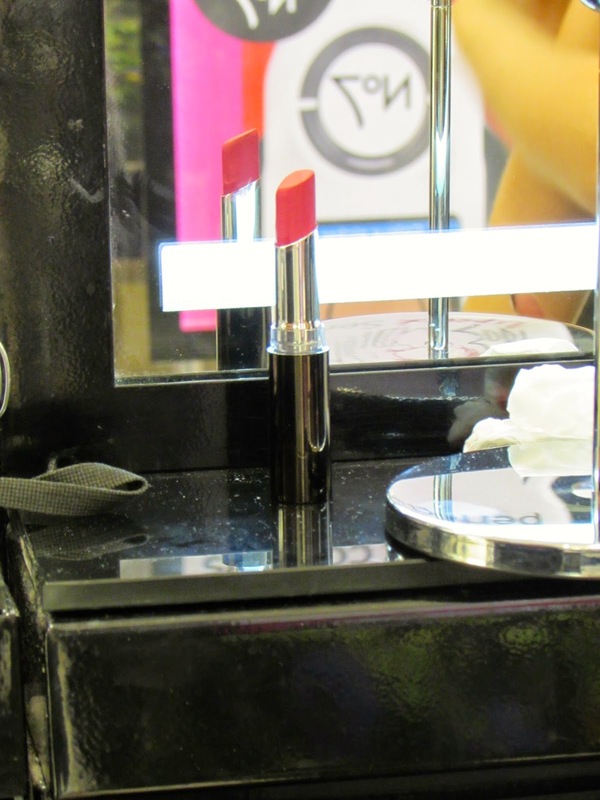 What's your fave lipstick colour? After a little machine thing picking my skin tone, Laura then proceeded to show me my colour options. I felt the colour drain from me slightly.. PINK. PINK? Are you sure? Is there not any other colours. Laura pointed out that stepping out of your comfort zone in makeup is something everyone should try! You never know how it will make you feel and she was right. I tried out a few colours in my match and knew straight away that I preferred a more matte base. Shiny or glossy annoys me. Especially having such long hair it causes all sorts of hair stuck on face problems. I asked Laura's opinion on what she thinks is best and I went with it. Even though it is pink.. It's the perfect pink I could ever get for my skin tone, which is pretty good if you ask me. I went for Pink - Blushing Rose 355. 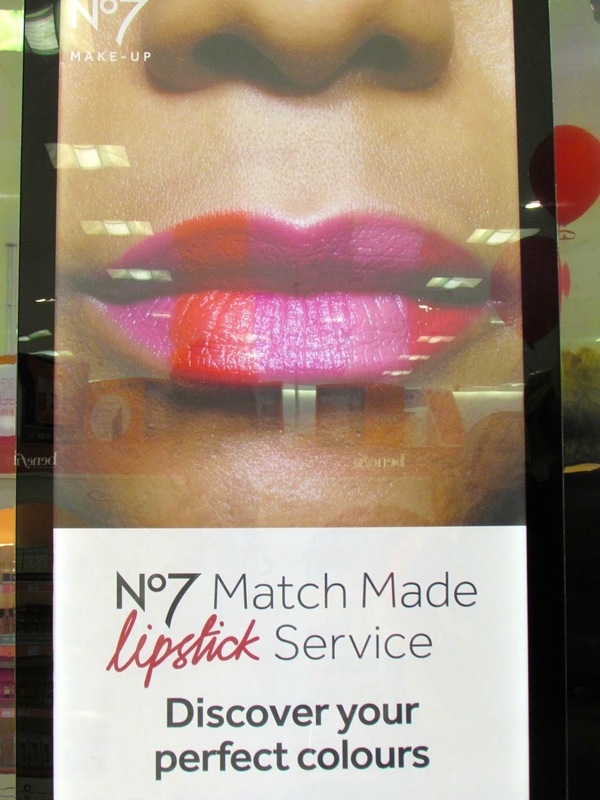 I would highly recommend popping into your local Boots store and asking for No7's match made lipstick service. 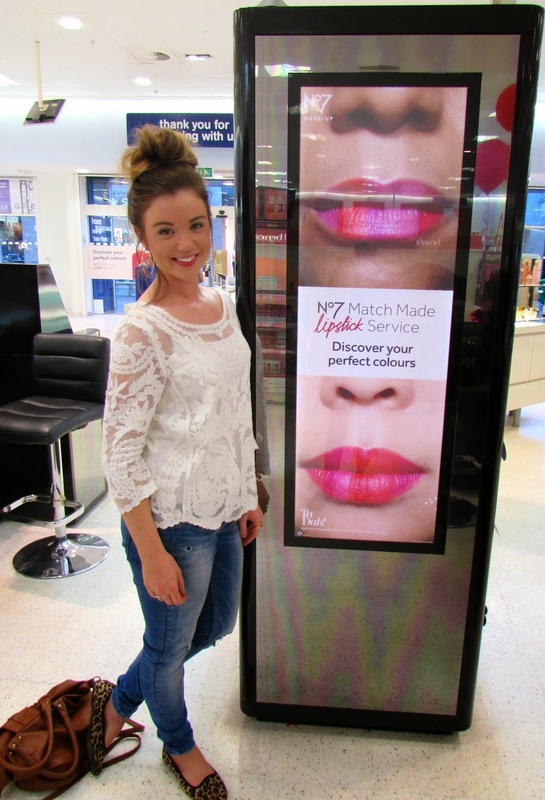 It's a totally different makeup experience and really focuses in on what will suit you best! I was helped by Laura to step outside my comfort zone and I can't wait to wear my fab new lipstick out. What colour would you shy away from?